Happy Weekend Everyone! I hope your weekend is going well. It was another beautiful day here in New England! The sun was bright and the air was warmer for a change, and thanks to Day Light Savings, we got to stay in daylight longer. It’s one of my favorite times of year! 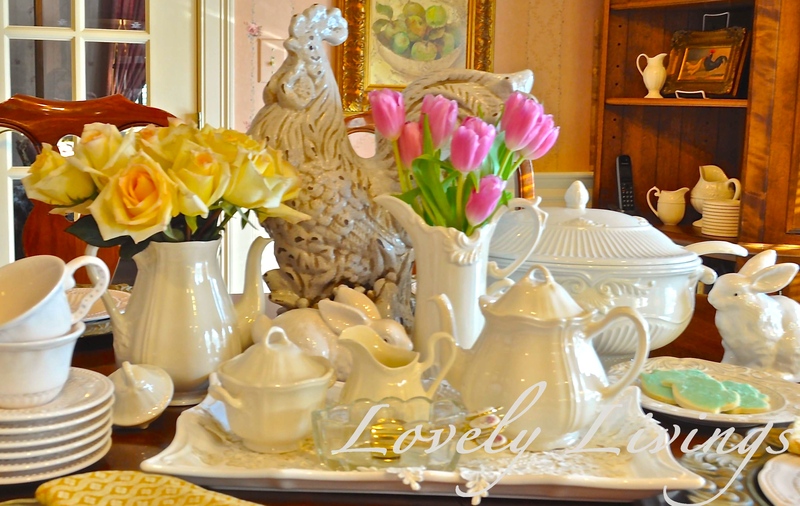 I replaced the flowers on my kitchen table with yellow roses and pink tulips. 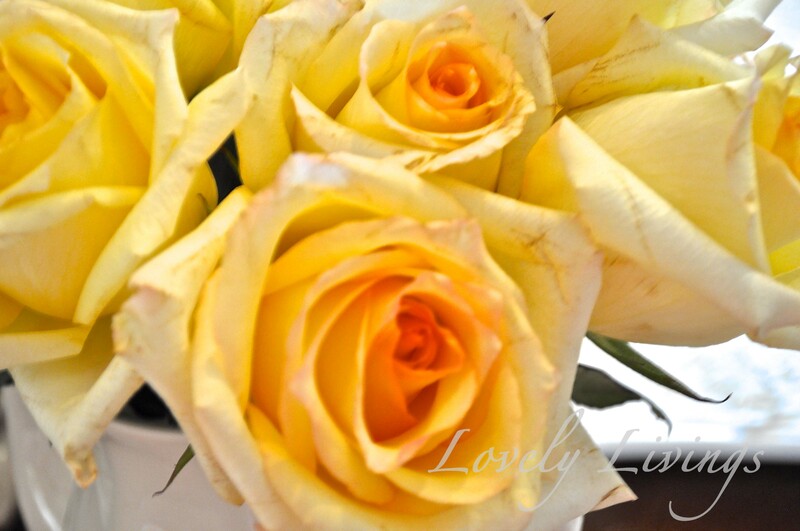 I love yellow roses as much as pink ones! Well, maybe not as much, but they are definitely second. I like to set the table for afternoon tea on weekends when I can. It looks like we are ready for Spring! It’s such a joy to decorate for this season! After a long and very cold winter, it’s refreshing to use bright and cherry colors. 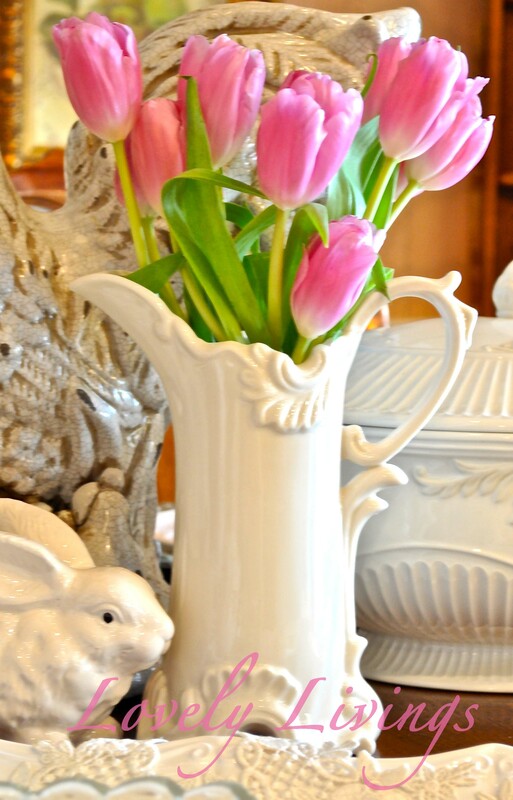 I love these pink tulips! They are a very elegant flower in spring, with their lean stature and delicateness. Tulips hold a beauty all on their own. Tulips seem to say LOVELINESS! These yellow roses make a wonderful display! 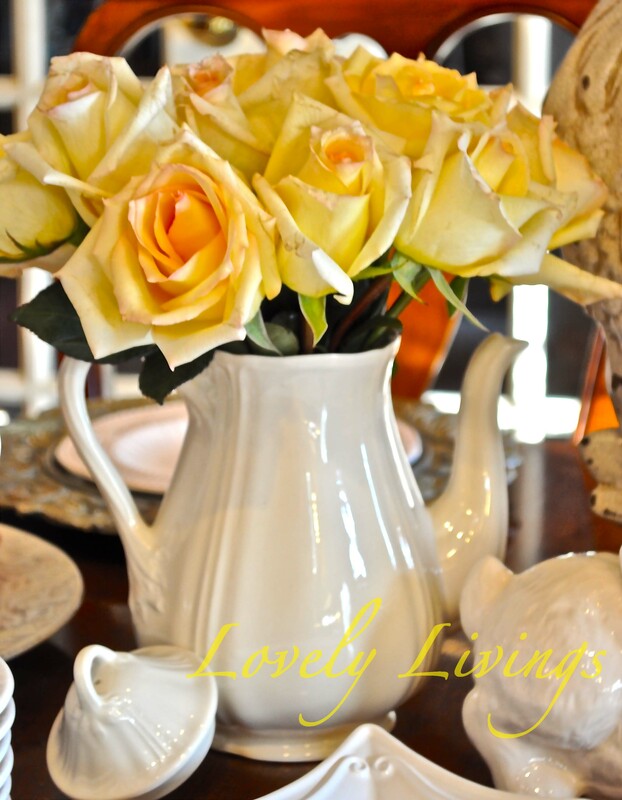 They look so sunny and bright against the ivory colored coffee pot I have them arranged in. Their pastel colors of yellow and orange are so pretty. Roses have a way of making you smile. They lighten up any room they are in for sure.